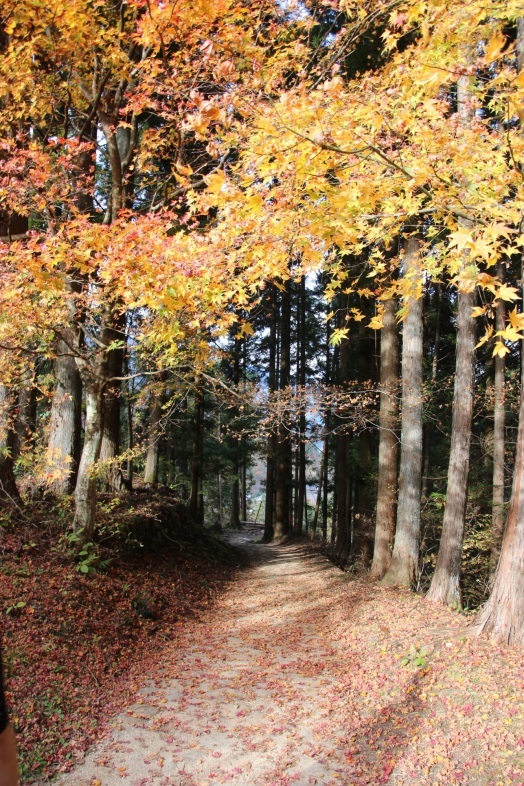 The hike from Magome to Tsumago is an historical route from the Nakasendo road during the Edo period. 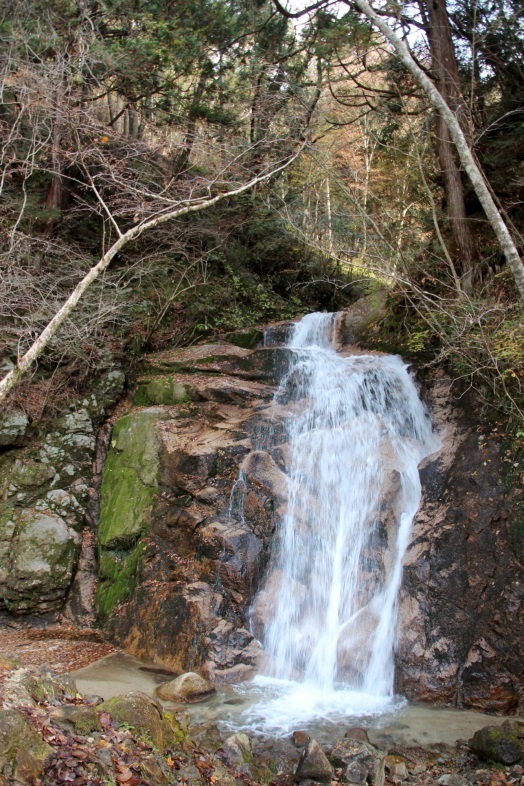 This route runs all the way from Kyoto to Tokyo and was used as a way of transporting goods. 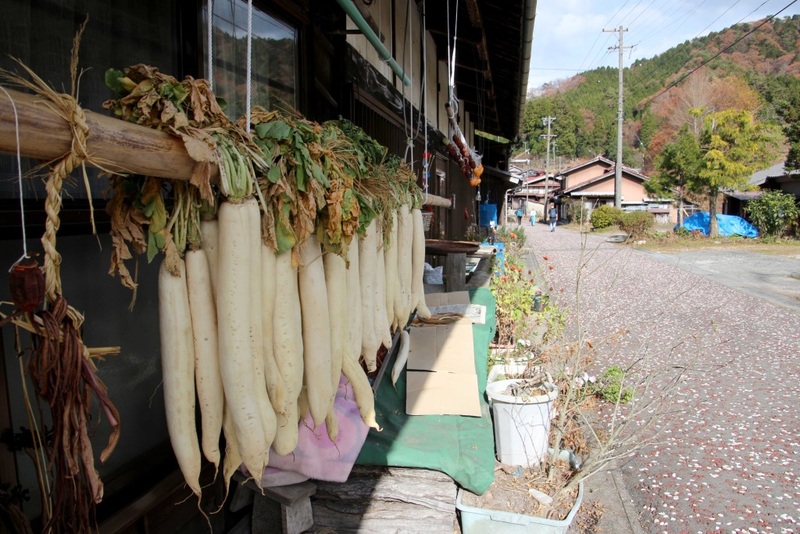 There are about 67 post towns along this route, to provide travelers a place to eat and to rest. 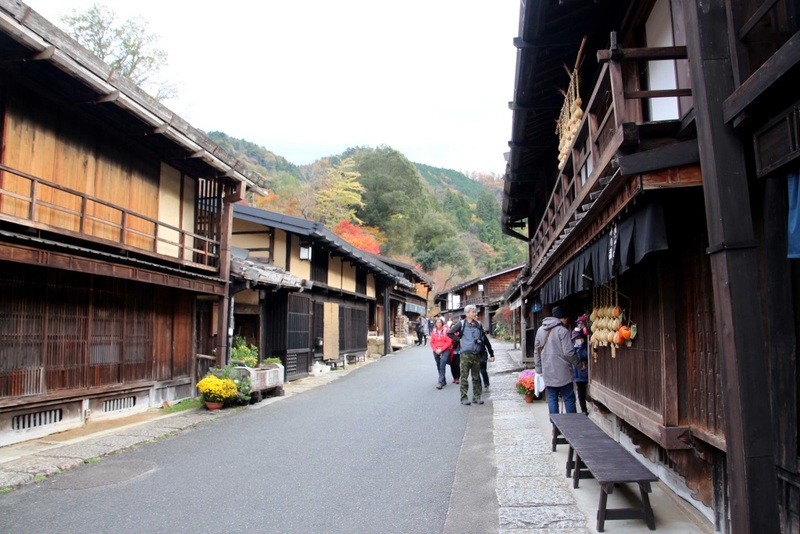 This part of the 7,7 km long route will wind through the Kiso Valley and both villages, Magome and Tsumago, are well-preserved old Japanese towns. There is a slightly decent on this route, but overall the walk isn’t too hard and I think everyone can do this. 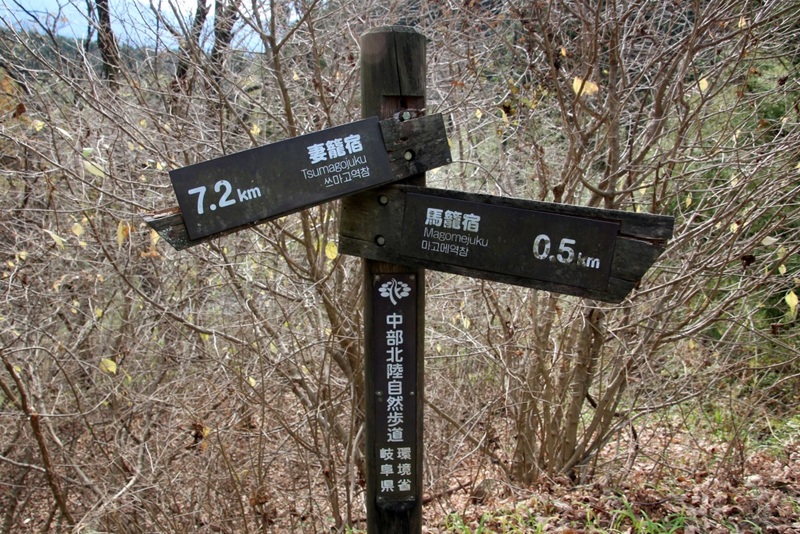 The trail is well marked, there were toilets along the route and there is a tea house halfway. But I can recommend taking some water with you as the route would take about 2,5 - 3 hours, depending on how many times you want to stop to take pictures. 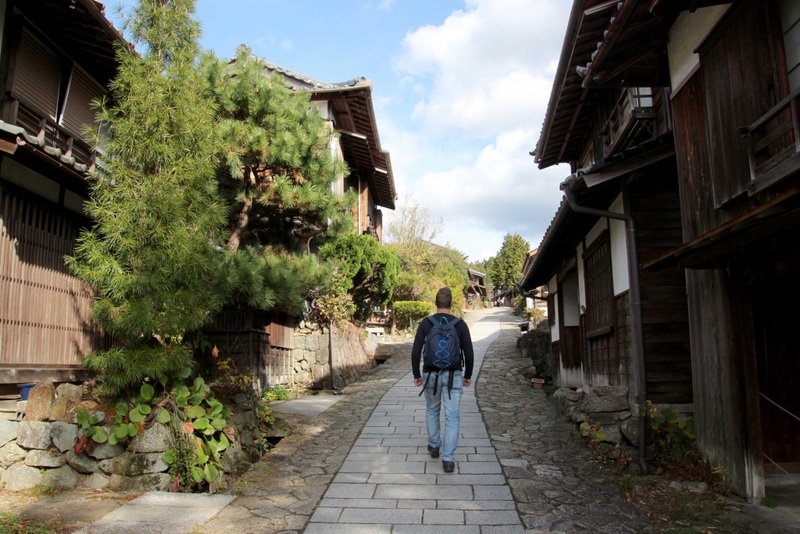 My husband Timo and I started the walk around 1 PM from Magome. 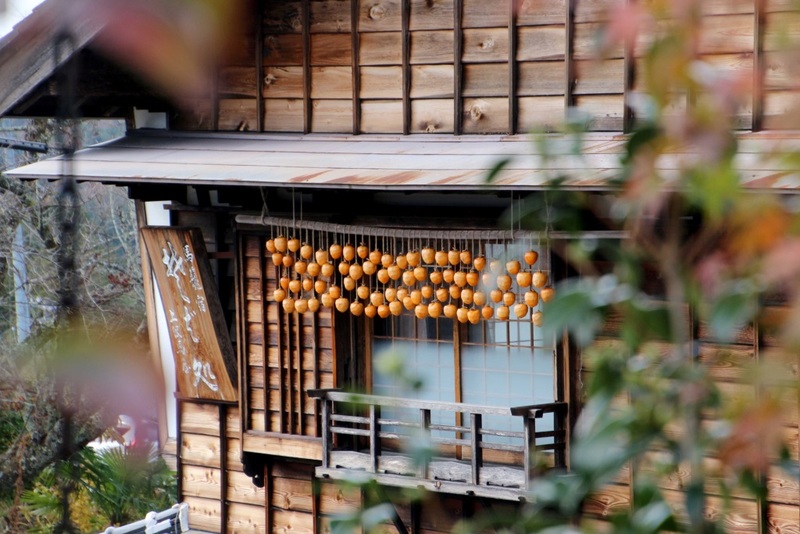 The village of Magome is build on a slightly steep hill. 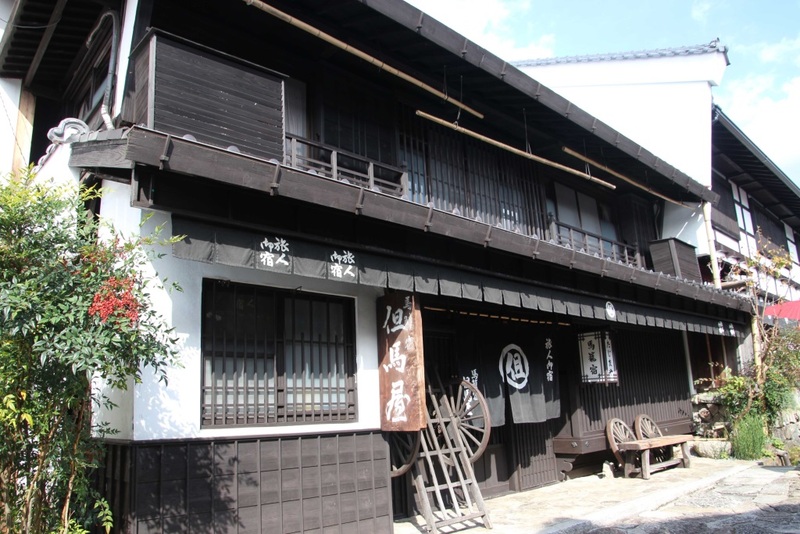 All the houses have the traditional Japanese character. 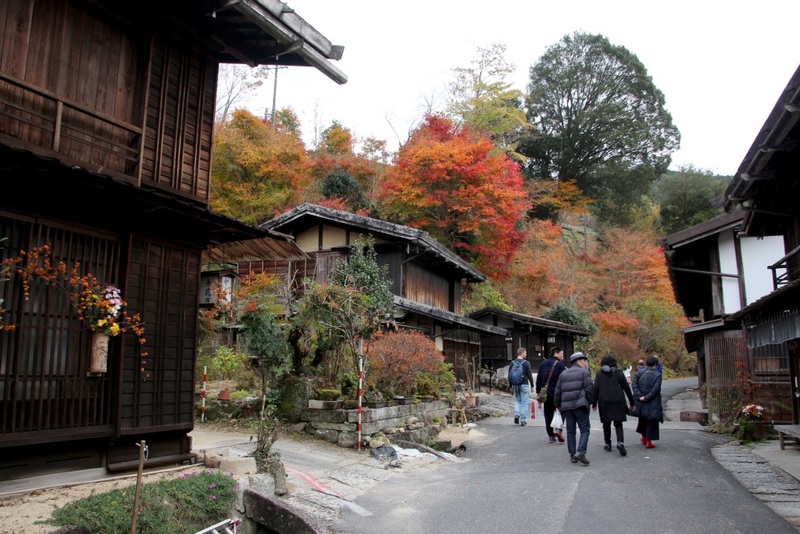 Some houses are traditional accommodations, restaurants or tea houses, others are selling souvenirs. It is pleasant to walk around in this lovely village. On top of the hill there is a beautiful view over the valley. The partially paved path continued and would lead us trough a lush cedar forest, with small creeks, now and then we would pass a house or two. People were doing their laundry, working on the fields but we didn't saw that many people outside. 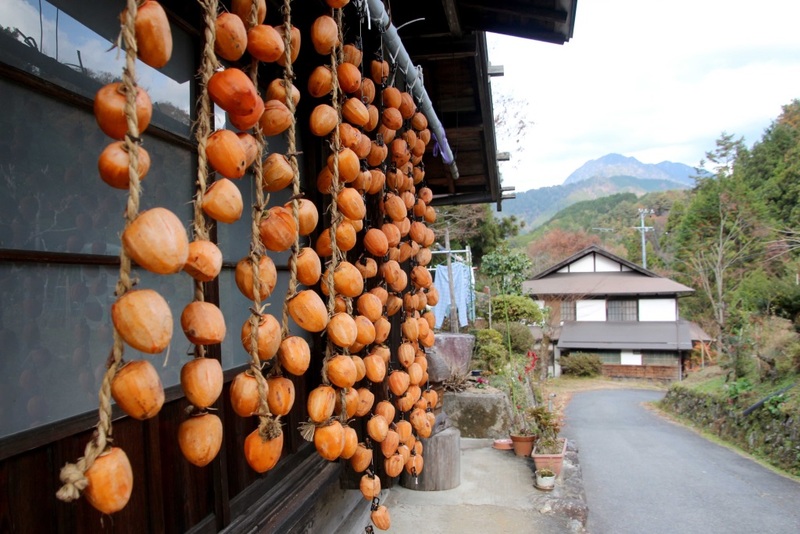 Because it is Autumn, we could see fruits and vegetables dried outside. With only a few other trekkers along the road it was really quiet and I could really enjoy the nature and views. 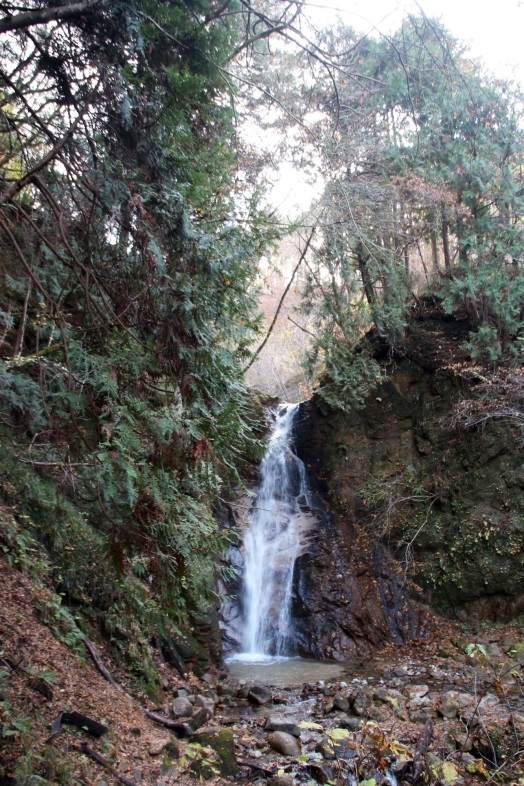 Halfway there are 2 waterfalls, which called Male and Female falls (Otaki and Metaki). Along the route, there are signs everywhere so you cannot get lost. 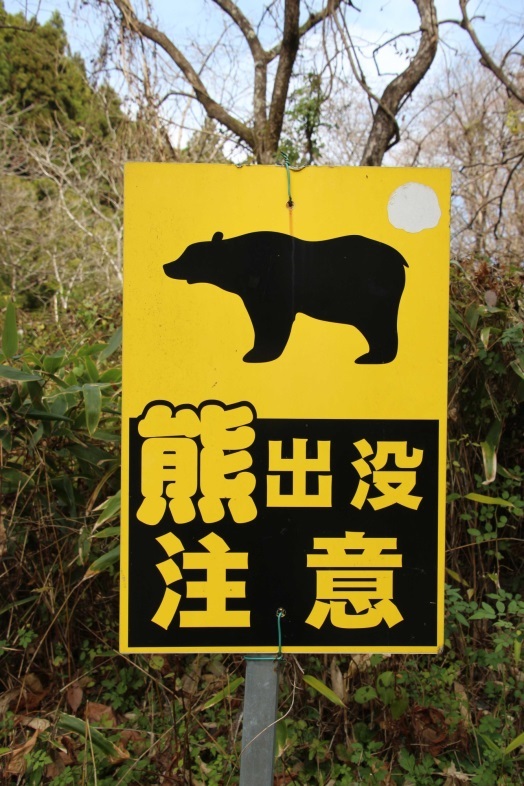 You can also find signs with a bell which says you can ring a bell to keep the bears away. Apparently there are bears seen here sometimes, but we haven’t seen any. After a 2 hours walk, we arrived in Tsumago. 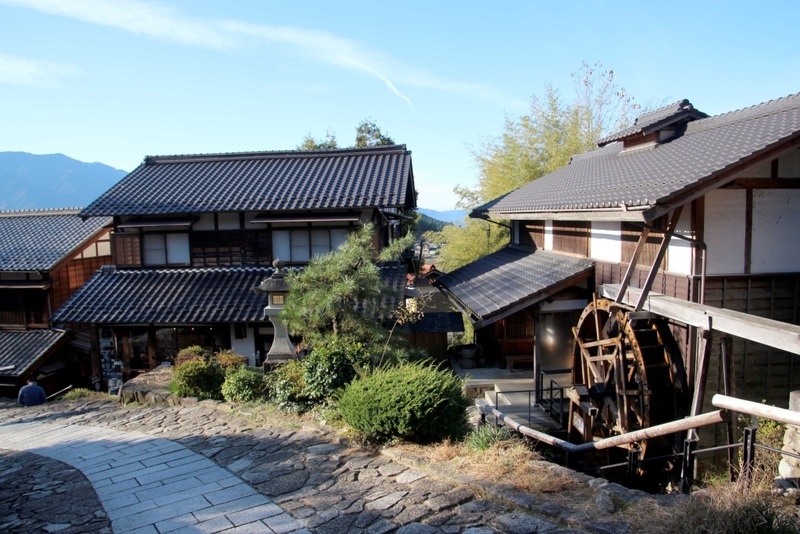 This is another historical post town and like Magome it has traditional houses all along the village. The village is small, so you won’t get lost. 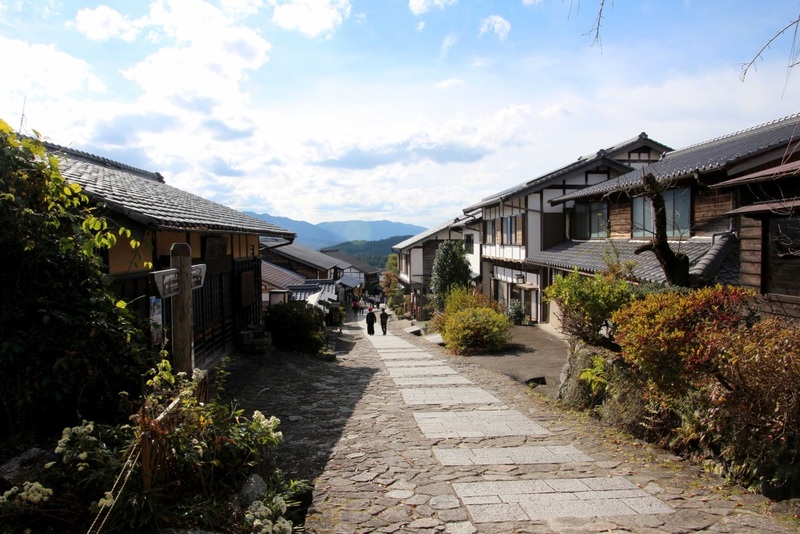 And same like Magome you can find souvenir shops and restaurants. 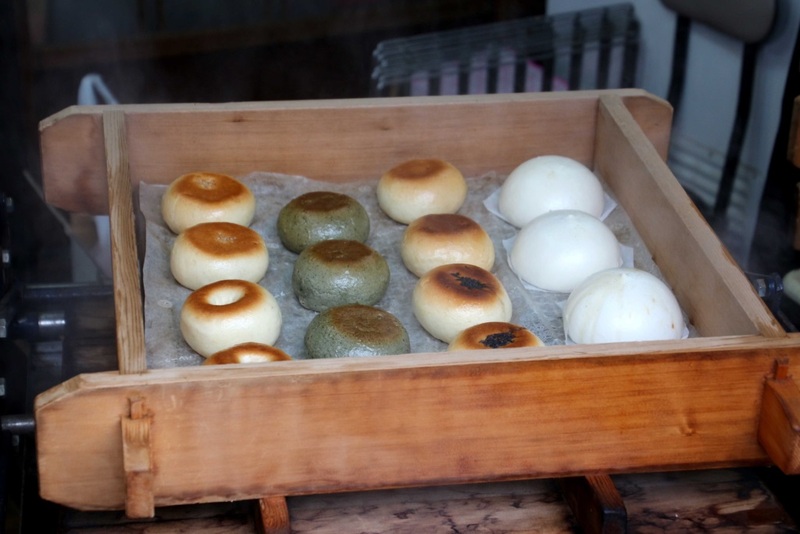 We tried some soft and warm bread buns filled with walnut. When we finished our tea and bread we walked to the bus station, to find out we just missed a bus. The next and last bus would be at 16.45 PM, so that would be a long wait. Because we couldn’t sit still we decided to walk back to Magome, as it wouldn’t take that much time. 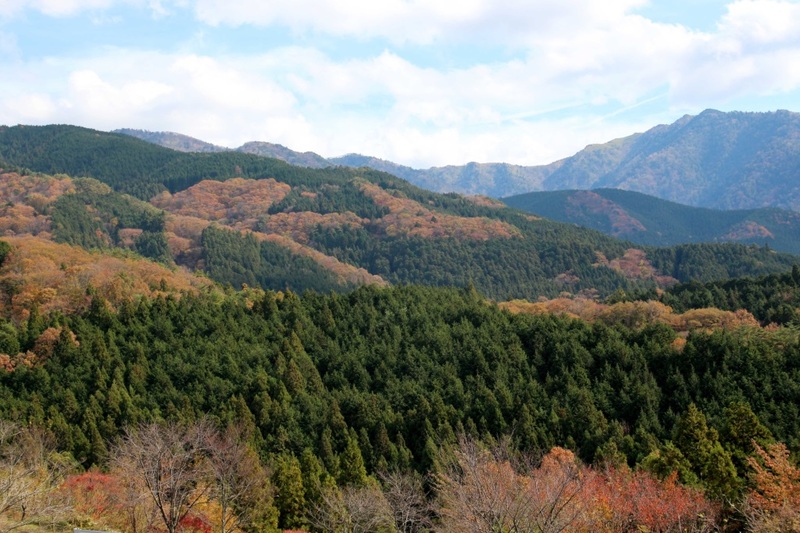 But when we passed the main car road, which also connects Magome to Tsumago we tried to hitchhike back to Magome. 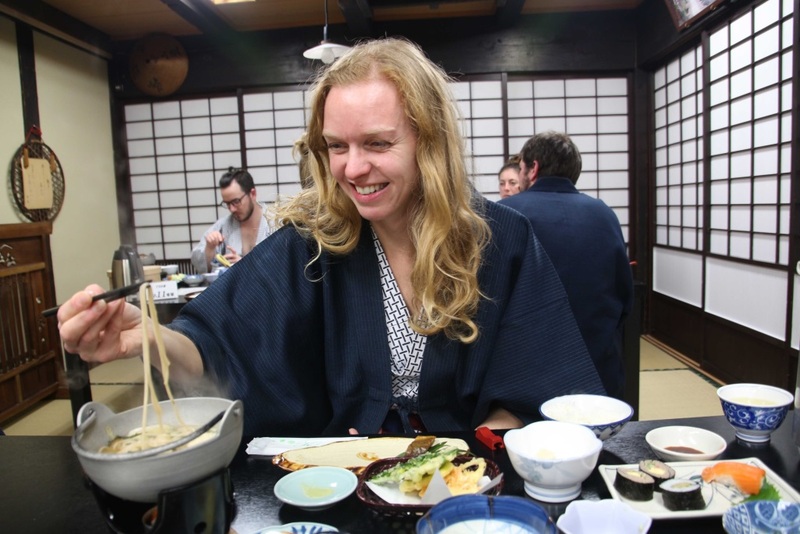 An old couple were happy to take us back, so we had a lot of time to rest in our Minsuku traditional stay in Magome, before we could enjoy our dinner. 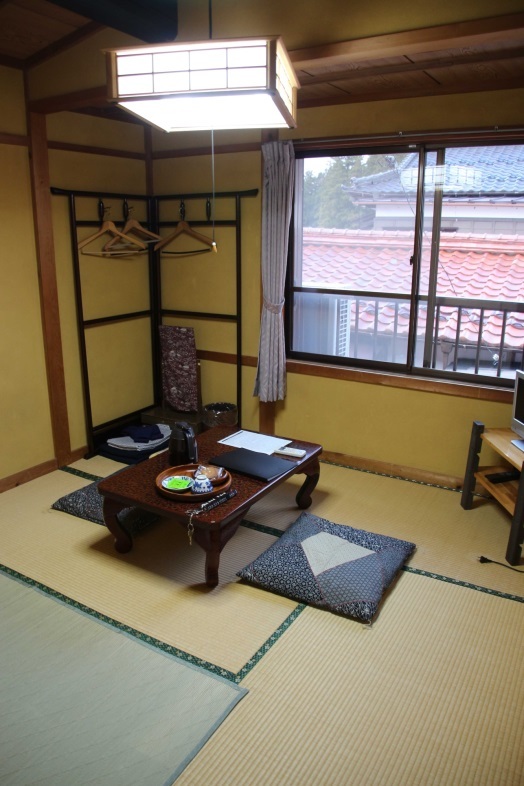 Minshuku is a traditional stay, it is comparable with a Ryokan. 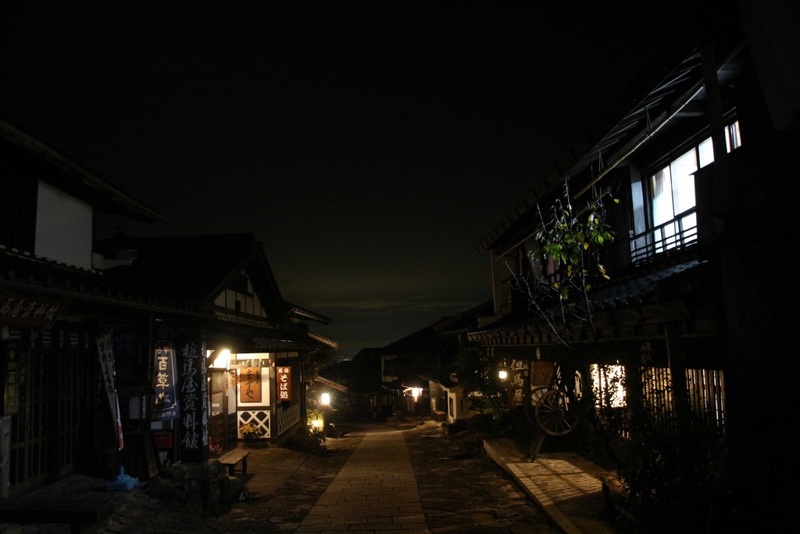 We stayed in Tajimaya, which was halfway the village, close to the tourist information center. We had 2 rooms, both not very big. 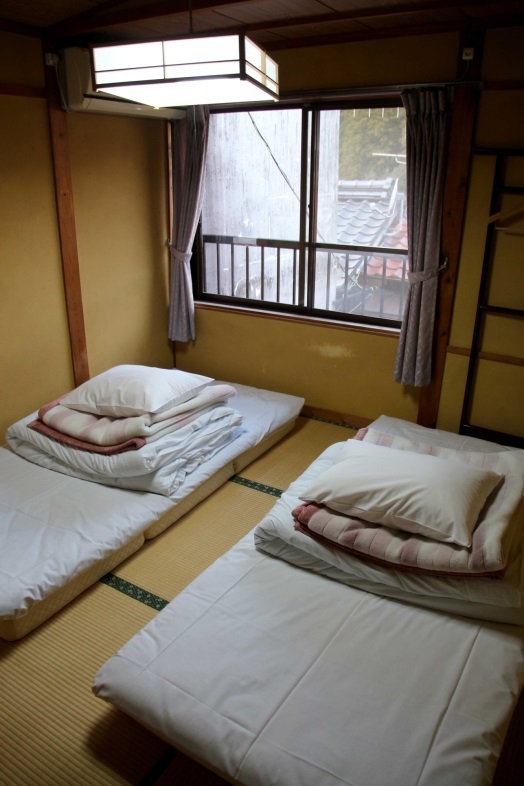 One rooms had futon mattresses on the floor and on the other we had a tradition table and cushions to relax. 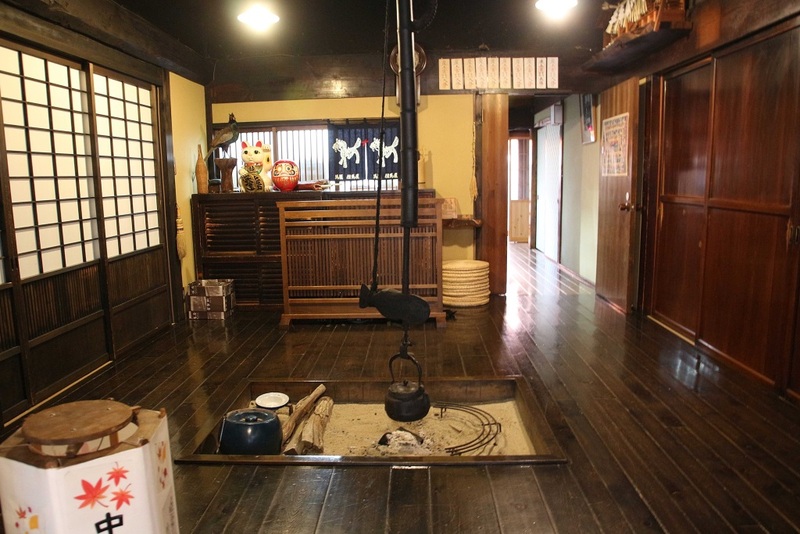 There was a communal bathroom with a traditional onsen. 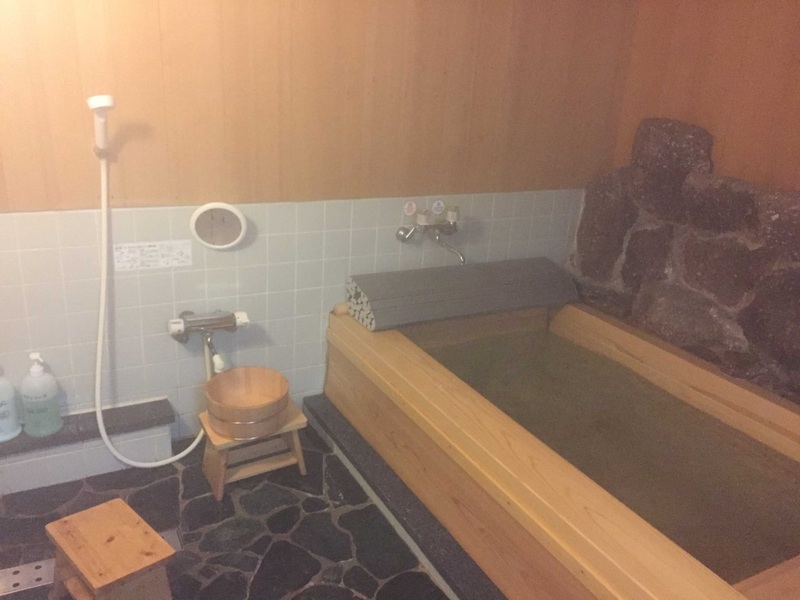 The water of the onsen was so warm and relaxing, but the bath was actually a bit small and only 2 people could bath in the same time. 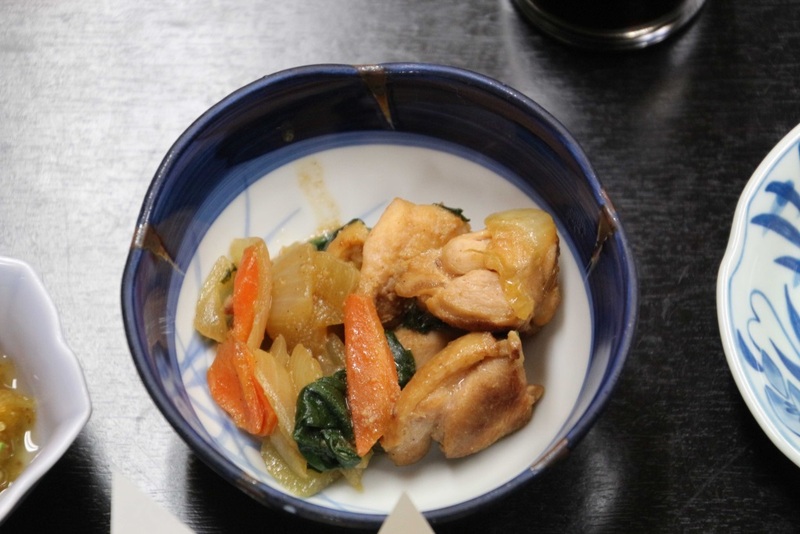 The dinner, which was included in the price, was delicious! 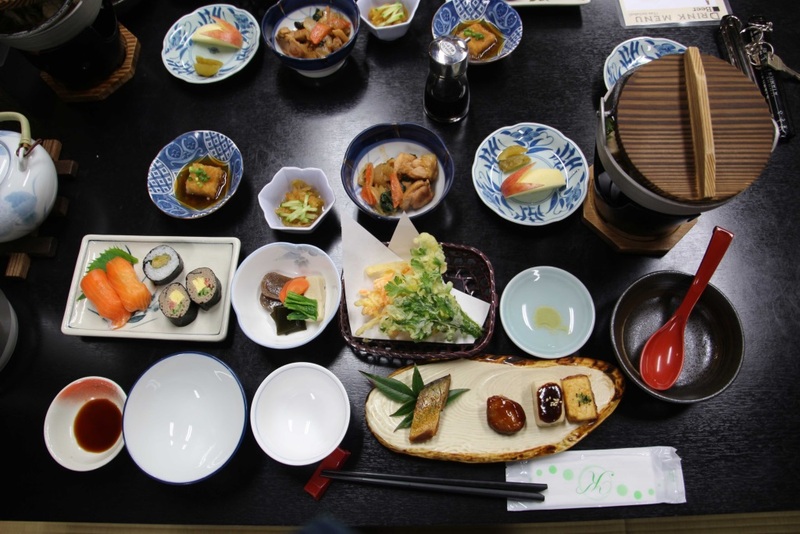 We got fresh sushi, soup and some other snacks to taste. At nigh it was so quiet, we slept like babies! 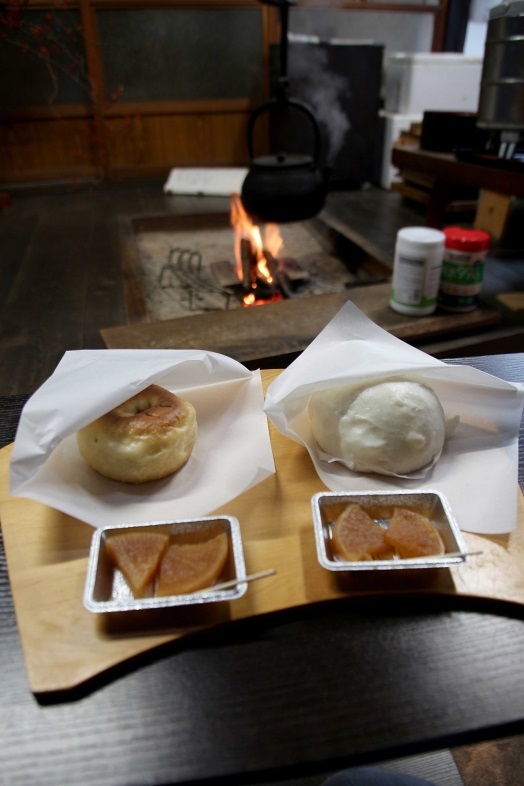 In the morning we ate again a traditional breakfast. 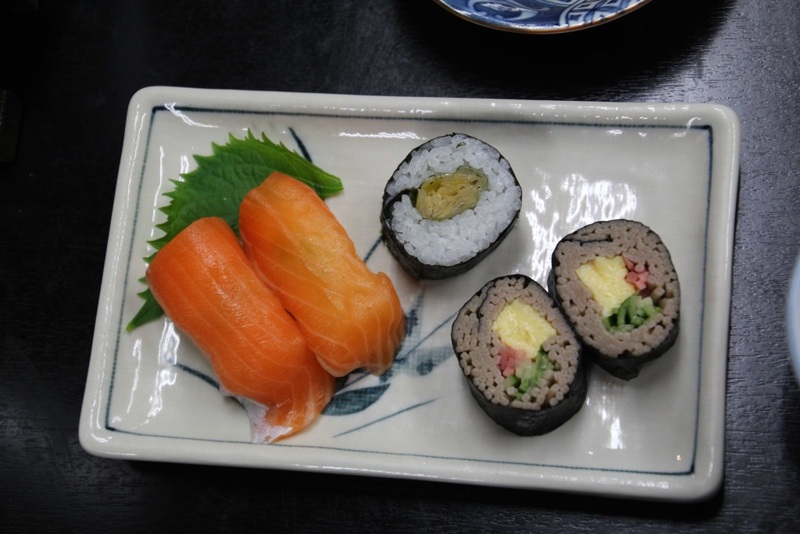 This time we had some baked fish, sushi, omelet and soup. We loved the food a lot! 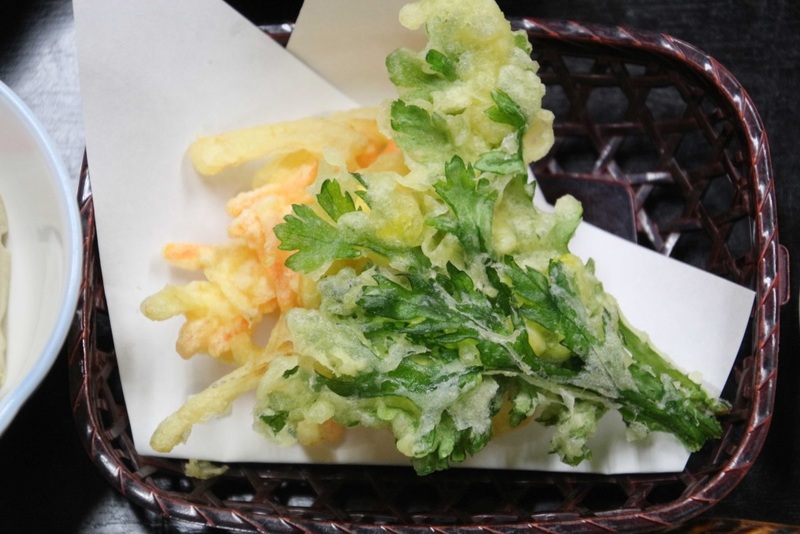 You can take a train from Matsumoto, Kyoto or Tokyo to Nakatsugawa. 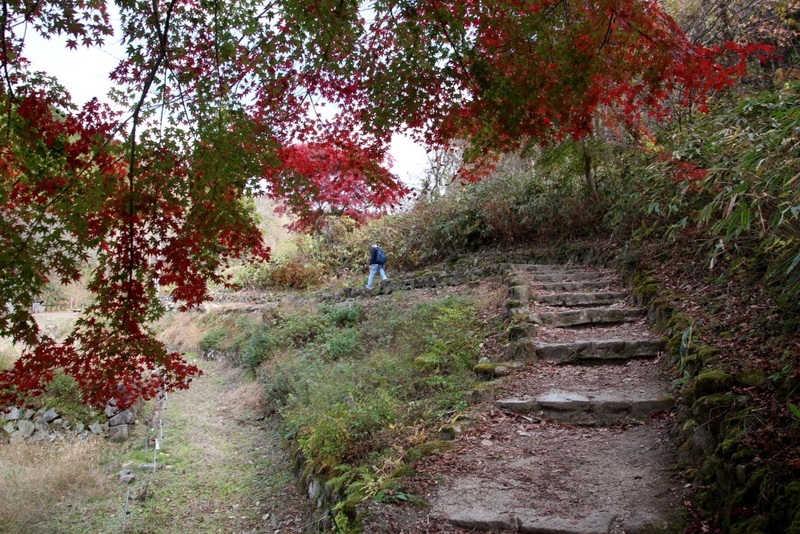 From here you need to take a bus to Magome, which takes about 25 minutes. The bus doesn’t go frequently so make sure your train connects to the bus, or you might need to wait a long time. When you need to go back to Nakatsugawa to take a connecting train, make sure you’ll check the timetable, as this bus doesn’t often run either. Our accommodation provided a schedule, so we could check out which bus would suit us the best.